10 years ago today, Comair Flight 5191 (N431CA) was a domestic passenger flight from Blue Grass Airport, Lexington, Kentucky to Hartsfield-Jackson Altanta International Airport, Georgia. The Bombardier CRJ-100ER jet was carrying 47 passengers & 3 crew members. A CRJ-100ER in Comair livery at the gate in Jacksonville, Florida. The cockpit crew of Comair Flight 5191 were Captain Jeffrey Clay (left) and First Officer James Polehinke (right). At the time of the accident the first officer was the pilot flying the plane. On the morning of 27 August at 06:00, Comair Flight 5191 taxied out for takeoff. The flight was cleared for a runway 22 departure, which is Lexington’s main runway. Because the runway was repaved just recently with an added safety area at the approach end of runway 22, one taxiway was no longer in use. Since August 20 the taxi route to runway 22 was changed. After confirming “Runway two-two”, Captain Jeffrey Clay taxied onto Runway 26, an unlit secondary runway only 3,500 feet (1,000 m) long, and turned the controls over to First Officer James Polehinke for takeoff. The air traffic controller was not required to maintain visual contact with the aircraft; after clearing the aircraft for takeoff, he turned to perform administrative duties and did not see the aircraft taxi to the runway. As the First Officer commenced the takeoff roll. One of the pilots made a remark about the lack of runway light illumination, but the takeoff was continued. Clay called for rotation but the aircraft sped off the end of the runway before it could lift off. It then struck a low earthen wall adjacent to a ditch, becoming momentarily airborne, clipped the airport perimeter fence with its landing gear, and smashed into trees, separating the fuselage and flight deck from the tail. The aircraft struck the ground about 1,000 feet (300 m) from the end of the runway. Forty-nine of the 50 people on board perished in the accident; most of them died instantly in the initial impact. 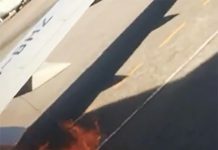 The resulting fire destroyed the aircraft. The sole survivor was First Officer James Polehinke. He suffered serious injuries, including multiple broken bones, a collapsed lung, and severe bleeding. Polehinke underwent surgery for his injuries including an amputation of his left leg. Doctors later determined that Polehinke had suffered brain damage and has no memory of the crash or the events leading up to it. In August 2007, Polehinke filed a lawsuit against the airport and the company that designed the runway and taxi lights. The families of 21 of the 47 passengers filed lawsuits against Polehinke. The investigation was led by the National Transportation Safety Board (NTSB) they concluded that the likely cause of the crash was pilot error. They concluded that Clay and Polehinke ignored clues that they were on the wrong runway, failed to confirm their position on the runway and talked too much, in violation of “sterile cockpit” procedures. Comair later accepted responsibility for the crash, but also placed blame on the airport, for what it called poor runway signs and markings, and the Federal Aviation Administration (FAA) which had only one air traffic controller on duty contray to a memo it had previously issued to have two workers on overnight shifts. A judge ruled that, since it was owned by county governments, the airport had sovereign immunity and could not be sued by Comair. Based upon an estimated takeoff weight of 49,087 pounds (22,265 kg), the manufacturer calculated a speed of 138 knots (159mph) and a distance of 3,744 ft would have been needed for rotation with more runway needed to achieve lift-off. At a speed approaching 100 knots (120mph), Polehinke remarked “That is weird with no lights” referring to the lack of lighting on Runway 26. “Yeah”, confirmed Clay, but the FDR gave no indication either pilot tried to abort the takeoff as the aircraft accelerated to 137 knots (158mph). Warning contains disturbing Cockpit Voice Recorder recordings. Another video at the end of the article without the CVR recordings.